Party to give away my fortune goes wrong! It’s been a strange few days. I’ve been moving place to place on the run from Illuminati assassins. Many, many of you have been kind enough to help me out with a bed for the night and I’ve gladly made those people rich beyond their wildest dreams! A special shout out to you, Mike of Boulder, Colorado 80301, for teaching me how to smoke a bong while snow boarding backwards. What a crazy day! But you should really do something about that spot on your nose. I think it may be syphilis. But things went wrong on New Year’s Eve big style. 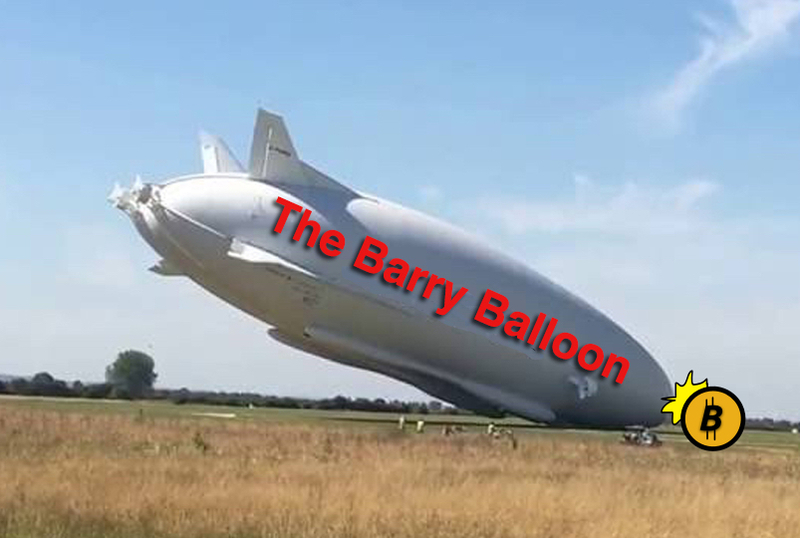 I’d gotten my butler Ivan to sneak my personal airship, ‘The Barry Balloon’, into the United States so I could hold a lavish New Years party. I don’t know how he got it past customs or the US Air Force and when I asked him he just said in that grumpy Russian way he has, ‘I paid a lot of people, a lot of money’ Good! The less money I have, the happier I am! I’d invited some of the richest people in the world to the party and planned to give away a substantial part of my fortune — rich people love money especially when they don’t have to do anything for it, so I had high hopes that 2018 would get off to an awesome start. It was a disaster. The Illuminati had sneaked an assassin on board disguised as formula one champion and world fashion icon Lewis Hamilton. Hamilton pulled an enormous elephant gun from his sweatpants just as we got to the second chorus of ‘Auld Lang Syne’ and I had to run for my life from the party to the airship’s cockpit. As I ran into the cockpit, with the Illuminati Hamilton bearing down on me like a Mclaran on a Ferrari, I tripped over Ivan my butler, and Hollywood great Angela Lansbury arm wrestling on the floor. I flew across the cockpit, slammed into the controls and we nosedived towards the flat Kansas Prairie, far, far below. Illuminati Hamilton, realising we were about to crash, turned into a ball of light and melted through the airships skin. It was perhaps the strangest thing I have ever witnessed. Worse was to come. We hit an isolated farm house and as the screams and cries of the great and the good filled the airship I realised we had crashed into a BitCoin mine! Hundreds of glistening BitCoins were pouring into the cockpit and I was now (unless the Chinese Communist Party decide to restrict their crypto-currency exchanges through upcoming legislation) more cashed up than I had ever been. When will I ever be free?!!!!! I am a professional filmmaker. I could make a movie out of your "adventures". If this is for real, let me know where I can plead my case.